How Large of a Border Should I Add? 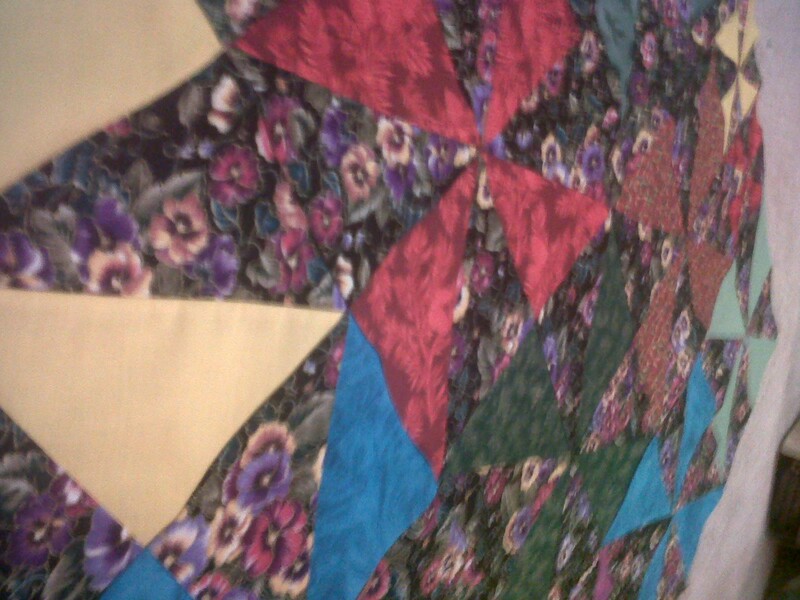 Now that I am finished with the body of this wall hanging quilt, I just need to know what kind of border to add to it. I was thinking the same pansy print fabric that is in the quilt, but I’m not sure. I also can’t seem to make up my mind on how wide of a border. Any suggestions? ← Polyester Thread: Friend or Foe? To me, the color that really pops is the bright blue. Have you considered a border approximately 3 1/2″ – 4″? How big are the blocks? IF you want it to have that finished, framed look, then the small black border then a wider border is perfect 1-1.5 inches then 3-4 inches (finished not raw). I am finding that I personally love borderless quilts more and more, might be something to consider if you cant find a border that works. Sometimes it just isnt needed. 🙂 Beautiful job! I agree with dawnmariew19…a small solid border, I like the black suggestion, then a border of the pansies, about as wide as your small pinwheel blocks. I agree that youcould use a dividing border but I wouldn’t use the black. Red and blue (teal) are popping for me for the thin border but you seem to like the pansies and the purple is predominate in that. I would look for a tone on tone dark purple that would pull the purple out of the pansies (the thin in red would be nice next to the purple). Good luck…can’t wait to see it done. Sorry, forgot about the border size….1 1/2 to 2 inch on thin internal border and at least the size of 1/4 of your pinwheel block…adjust slightly larger if visually needed.